As someone who both blow drys and straightens his naturally curly hair to achieve a sleek, side parted pompadour as well goes fresh out the shower to embrace my curls, I’m always on the lookout for a hair product that will keep my hair in place without making it too greasy. 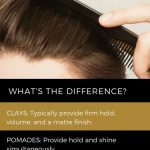 Before we dive into this product roundup, let’s define the differences between clays, pomades, and pastes. Clays: Hair clays are styling products that, surprise, include clay in their formulas. They typically provide firm hold, volume, and a matte finish. Pomades: Pomades are styling products that are formulated to provide hold and shine simultaneously. Historically, they were created with oils or grease. Nowadays, we see more water-based pomades. 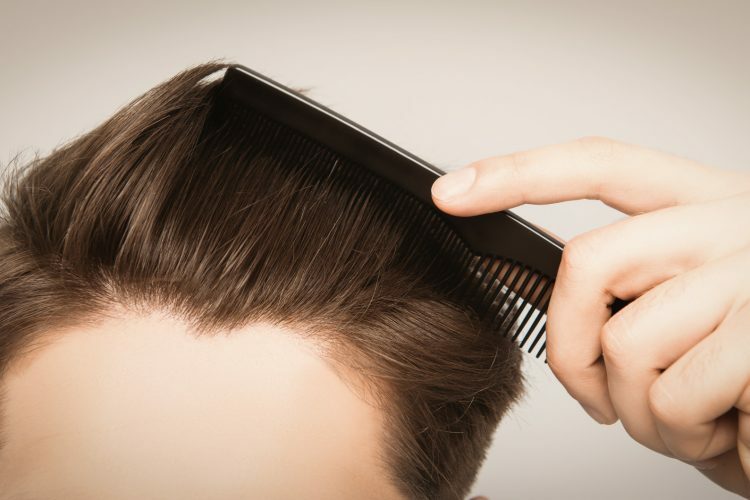 Pastes: Hair pastes are typically thicker than pomades and provide matte finish with medium to firm hold. This has been my go-to hair clay for the last few years. The clay is a rich amber color and the scent is very faint with fresh with lemon, lemon peel, and sage oil. It has a very firm hold and leaves a matte finish. This is especially great on second-day hair when you’re starting to get a little greasy. I typically blowdry my hair and apply the Clay Pomade on dry hair to set my style in place and prevent any flyaways all day. I really liked this Texture Clay and it’s great for when you want a little more movement in your hair but still want a strong hold. The unique thing about this Texture Clay is that it is made with Bentonite Clay which has stimulating and healing properties to promote scalp health! I will say this product is very similar to the Baxter of California Clay Pomade but the product does have a little more play and is less stiff. R+Co’s CONTINENTAL Glossing Wax is easily one of the most versatile hair products I’ve ever used. I work about a pea-sized amount of the shimmering blue water-based wax between my hands and run it through damp hair before I blowdry. The product is super lightweight and gives shine without making my hair look greasy. I also love to use this product when I’m wearing my hair curly. Again, I apply a pea to dime-sized amount of product between my hands and then to damp hair. I then define my curls and the glossing wax helps give shine and also definition to my curls. On top of it’s performance, the fragrance is fantastic with a bright and earthy composition with notes of eucalyptus, green tea, tree moss, and crisp amber. The Martial Vivot Paste is a versatile styling product that provides a soft to medium hold. I use this when I’m going for a more disheveled, curly style. The paste provides a nice texture and definition to my curls without being too sticky, greasy, or crunchy. One thing I really love about this product is the packaging. The sleek, matte black container looks great sitting on my bathroom counter. Additionally, it’s full of ingredients that are good for you scalp and hair like hemp seed oil, castor seed oil, and Vitamin B, to name a few. Typically, when I use a hair clay, I expect the product to be stiff and waxy when I’m scooping it out of the container. One surprise with the 18.21 Man Made Hair Clay was that it was much looser and wetter than I was expecting. However, once I rubbed it between my hands, it started to quickly dry down and behave like other hair clay. It provides a strong hold and matte finish that lasts all day. This hair paste is a bit firmer than other hair pastes I’ve used in the past, but it smoothes down nicely when worked between the hands. This is the perfect balance of shine and hold. It’s especially great for when you’ve just washed your hair and want to get some moisture and shine back into it without being heavy on the hair. I’m definitely on a convert from always using hair wax to using this hair paste! Of the three different hair products, the pomade provides the highest shine and the lightest hold. The pomade is all about providing flexible hold and shine which is perfect for creating those classic, sleek, side parted styles. My favorite thing about all the 18.21 products is the scent. Their signature Sweet Tobacco oil blend is rich and not overpowering with initial notes of spicy saffron and dried fruit dry down to reveal notes of manuka honey, dark toned vanilla a touch of tobacco, exotic woods, and powdery musk. I’m a huge fan of the IGK Down & Out Dirty Spray so I was excited to try the Broken Dreams Texture Paste. One thing I hate is after I wash and dry my hair, it looks dry and a little frizzy and doesn’t cooperate. This texture paste is a medium hold and gives freshly cleaned hair that second-day, lived in look. The paste also includes argan oil which naturally strengthens and nourishes hair while providing a light shine. The scent is also great with sophisticated notes of black pepper, blackberries, dewy violet, geranium, and leather accord.